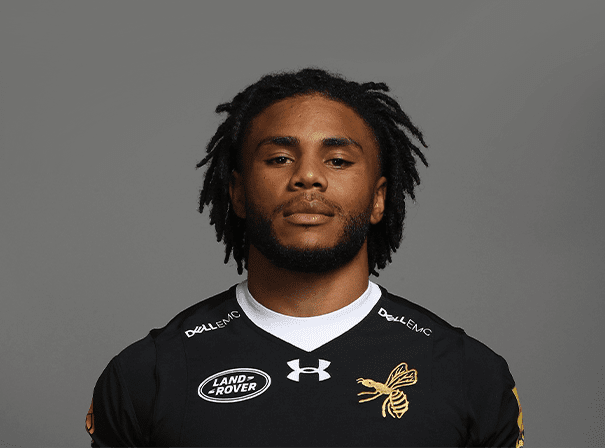 Kyle Eastmond is a precocious sporting and rugby talent who has moved from playing league, where he excelled, to have a crack at rugby union. It was aged just 17 that Kyle started training with top league side St Helens and in only a year he was already being hotly tipped as one of the most exciting players in the game. In a big 2008 clash with Wigan Warriors, Kyle — who plays at full back but is a versatile and athletic player – made a big impression and scored an incredible try from 60 metres out. It got praised for legendary St Helens player Sean Long and Kyle is just as powerful when playing as centre, stand off or dummy half. A year later, his side lost in the final but Kyle himself got plenty of praise for another great performance which saw him score all of his side’s points via two kicked goals and a try. It was then in 2009 that Kyle received his first ever call up to the full international England side and played in a 2009 Four Nations game against Wales. The same season saw him extend his contract with St Helens when he signed for two more years. In February of the following year though, after many rumours and chatter, he finally made the switch to rugby union and went to play for Bath. After an injury battle Kyle went on to really make his mark on the team. Despite being of rather slight frame, Kyle has unbelievable pace and power and is said to be someone who can achieve the same sort of highs as the legendary Jason Robinson.